Scotty McCreery will melt your heart with the Seasons Change album.“I’ve lived a lot of life since my last record,” says Scotty McCreery. “I moved out on my own, I travelled across the country and the world, I got engaged, I was dropped by my label, I was even robbed at gunpoint. So I really wanted this album to show who Scotty is at 24, what’s going on in my life, and I think we accomplished that.”With his third album (plus a chart-topping Christmas record), the young star takes a huge creative step forward. He co-wrote all 11 songs on Seasons Change, working with some of the finest songwriters in Nashville to express a wide range of emotions and musical styles. 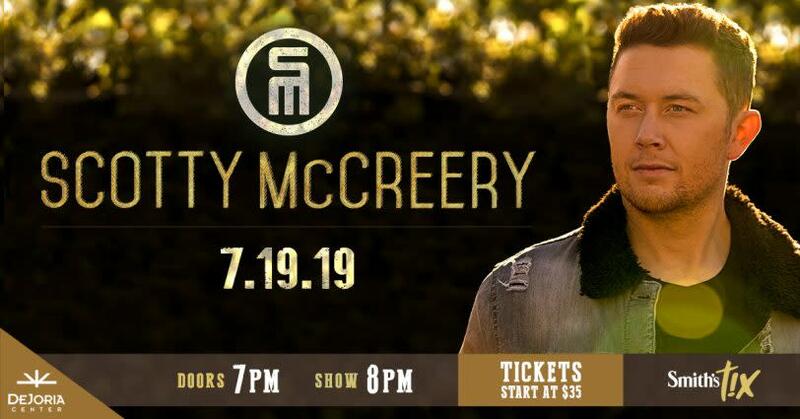 And after a lengthy legal struggle that kept him on the sidelines for several years, McCreery placed a bold bet with his career that has paid off with a new label and a reinvigorated attitude.“At first, it actually started pretty simple,” he says. “We were just looking for the best songs. But then as my life got more complicated, I knew I wanted to make a record that was a lot more personal, and I felt that writing more myself would help capture that.”After winning Season Ten of American Idol in 2011, McCreery made history when he became the youngest male artist of any genre, and the first country music artist ever, to have his debut album enter at No. 1 on the Billboard Top 200 chart. Clear as Day was certified Platinum for sales of one million units in just 13 weeks and became the best-selling solo album released by a country artist in 2011. The singles “I Love You This Big” and “The Trouble with Girls” were also certified Platinum. 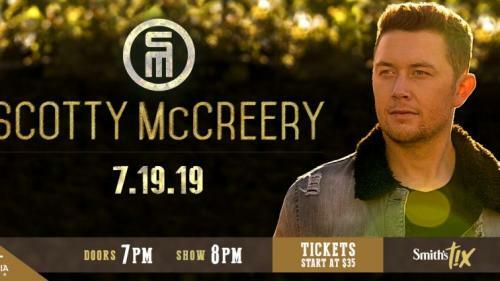 He won the New Artist of the Year award at both the Academy of Country Music (ACM) Awards and the American Country Awards, and also received the CMT Award for Breakthrough Video of the Year for “The Trouble with Girls.”A year later, Christmas with Scotty McCreery debuted at No. 1 on the Billboard Top Holiday Albums chart and was quickly certified Gold. His next album, 2013’s See You Tonight, debuted at No. 1 on the Billboard Country Albums chart, and “See You Tonight” and “Feelin’ It” both reached the Top 10 and were certified Platinum and Gold respectively. “See You Tonight” earned McCreery both his first BMI Award for writing one of the Top 50 Country Songs of 2015, and his first Music Row No. 1 Challenge Coin for landing atop the Music Row Country Breakout Chart.